Chalkhills: TeamRock: "The Stories Behind The Songs: Making Plans For Nigel"
A politically charged song, it established XTC as the intelligent arm of the post-punk movement while also infiltrating the mainstream. It might have had a powerful hook and a monumental groove, but Making Plans For Nigel was not an obvious chart contender. In fact, with its cavernous drums, jagged guitar riff and nagging melody it was like some mutant hybrid of dub reggae, post-punk and chirpy pop. And yet it became Swindon band XTC’s first Top 20 hit. But it didn’t start off as a skanking nursery rhyme. When it was first presented to the others by bassist Colin Moulding, not the group’s regular writer, it was rather less shudderingly propulsive. A song about a boy being pushed by his middle-class parents into a life of crushing work tedium, Making Plans… reflected a real dread among the band members, who, as Partridge puts it, were “four kids off a council estate”. 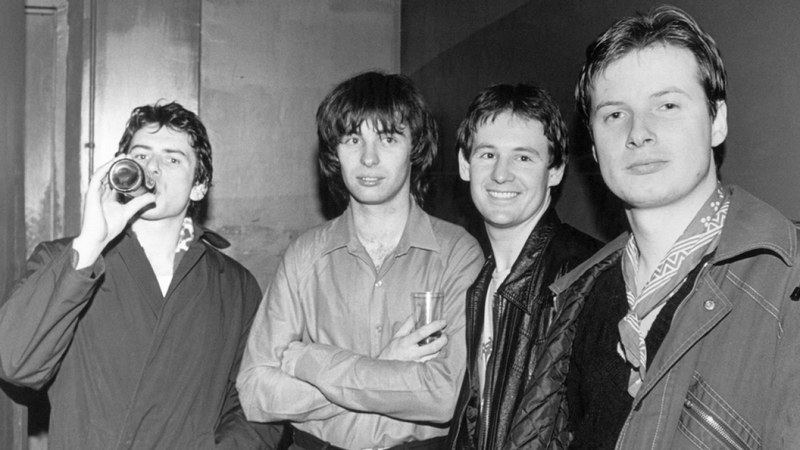 After changing their name to XTC, in 1978 they released White Music and Go 2, two albums of tense, nervous oddities. On the first of those two, the quirkily rhythmic Statue Of Liberty and This Is Pop confirmed XTC as brainiac Brit cousins of Talking Heads and won them acclaim as the idiosyncratic, intelligent wing of punk. It wasn’t until third album Drums And Wires that the band became a serious critical force. And with Making Plans… they became a commercial one too. The nuclear drums on Making Plans… seemed to usher in the 80s (the Lillywhite/Padgham team later worked on records by Phil Collins and Peter Gabriel). The song also paved the way for a successful decade for XTC, with albums such as English Settlement, Mummer, the Todd Rundgren-produced Skylarking and the psych-y Oranges & Lemons. Their last album is 2000’s Wasp Star (Apple Venus Volume 2).